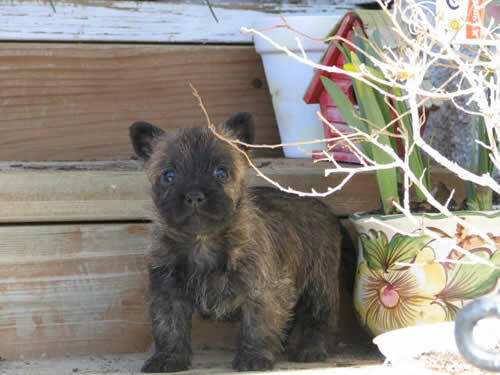 Norfolk Terrier Breeders & Puppies For Sale If your a Norfolk Terrier breeder and have Norfolk Terrier puppies for sale, send us your details for free and we will add to our Norfolk Terrier Breeders page. 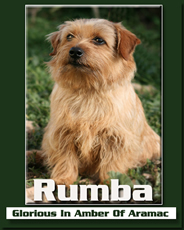 Norfolk Terrier Rescue Center Visit the Norfolk Terrier rescue centers if your looking to rescue a Norfolk Terrier, as well as learn more about the breed or just support the rescue centers for there hard work. Origin / History Very similar breed to the Norwich Terrier which originates from East Anglian region of England. 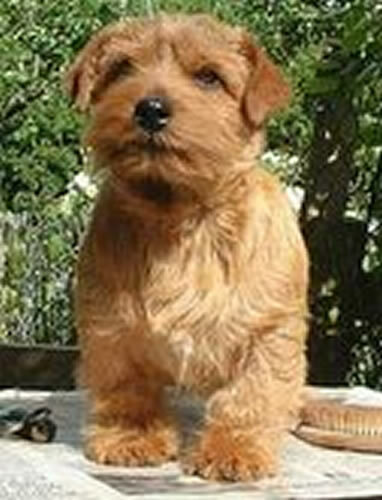 The main difference between the two breeds is that the Norfolk Terrier has drop ears, the Norwich Terrier has prick ears. The two breeds were divided by the Kennel Club in 1964. They were bred for hunting rats. Appearance Broad and slightly round head with drop ears. Colours Red, black and tan, grizzle, wheaten. Height and Weight Both males and females are generally the same size. 23- 25 cm in height and 5 - 5.5Kgin weight. Common Health Problems Considered an alround healthy breed. If anything, may suffer from from hypothyroidism which is a lack of thyroid hormone, sometimes breathing problems and possibly epilepsy. Living Conditions Ideally suited to country life. If they do live in a town then they would much prefer a house with a garden. Exercise Requirements Will make do with a standard walk a day, or a couple of short walks. Will certainly enjoy long outings if given the option. Love to be off lead and exploring the local park. Training Requirements Fairly good at learning the basic obedience commands, although not easy to train to a high level. Life Expectancy 13 - 14 years. Grooming Dense coat needs brushing at least twice a week. Coat needs hand stripping every 6 months. 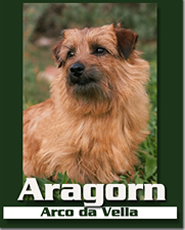 CompleteDogsGuide Comment A lively small breed who makes a great companion for owners who like to be a little more active than most small breed or toy breed owners. More Norfolk Terrier Information: Check out our Norfolk Terrier Clubs and links to more informative websites dedicated to the breed.